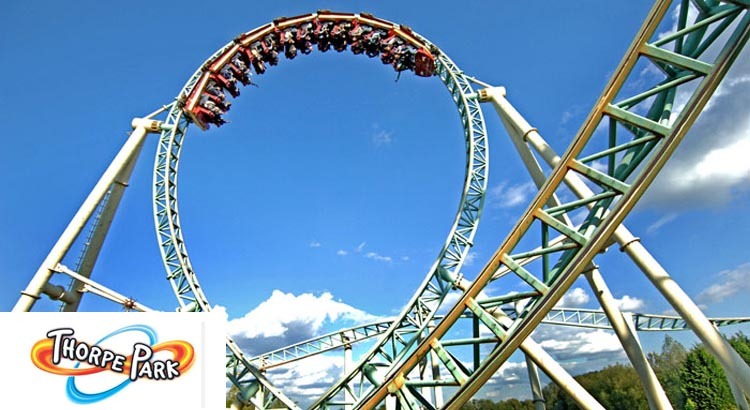 If you love theme parks, then you must book this special short break offer from Thorpe Park. 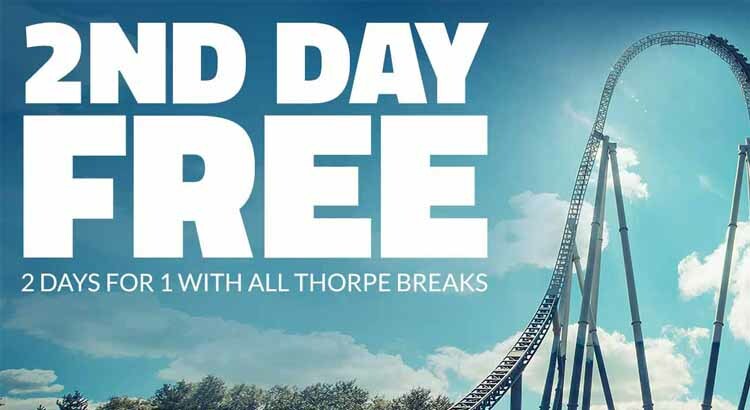 Not only do you get your second day free but also stay at the Shark Hotel from only £53 per person with free ultimate Fast track entry to all the rides and attractions. 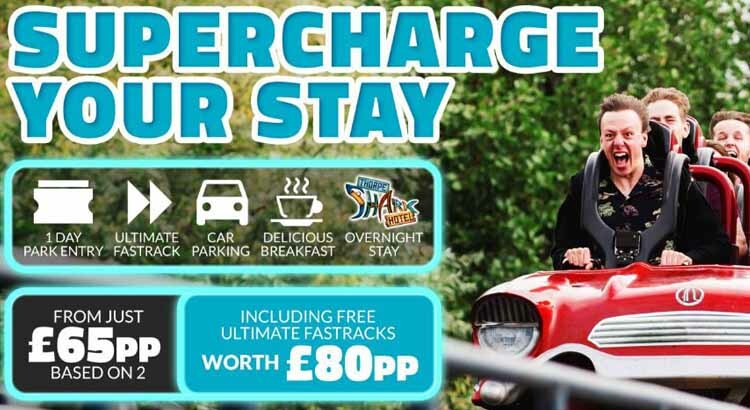 Head to Thorpe Park Resort this September from just £65pp and get FREE fast track entry to all rides worth £88pp and stay overnight in the Shark Hotel with breakfast included.